I can not help but smile on how smart that sounded. My mom had gone back to tutoring kids. In our place, where word gets around easily, she was always referred to by other people as “the old woman who had a reputation for teaching, ” a profession that she had always been proud of until now. It was not just her bread and butter, but her vocation, just like motherhood. My mom came from a dysfunctional family. Being the eldest of 3 kids, she had learned the word responsibility at a young age. She once mentioned that there were days that she wanted to come out and play but instead stayed indoors to look after her siblings. Good thing she loves to read. Perhaps she may have not realized it then but it was by reading where she met many friends, gone into places , and where she started building her dreams. Every time she went to school she made sure she excelled. Every task given to her , she gave her 110 per cent. She was focused, driven and pro active. It did not matter if she had to cross a river just to study when she was in high school or tutor her landlady’s kid just to pay for her rent when she was in college. She wanted to become a lawyer, an ambition that was far fetched at that time because they can not afford it , so she chose teaching instead, but made sure, she will not just be any ordinary teacher. She left her hometown when she married my dad. She was barely 23 years old then, perhaps even younger. She was obliged to learn a dialect she never knew and get along with people, including those that were hard to deal with. Enviousness, perhaps runs in every family circle, negative traits that my mom have no time for. To her, every man is basically good, and it is his choices that makes him what he is. It was not surprising that my siblings and I had fared well in school. I thought then that was because my mom taught in the same school where we went to. When all of us had gone to other schools, even stopped schooling for a while, especially in my case, I found that it was not true. She tells us often not to stop reading and to continue learning, be it watching informative shows or meeting people. She also reminds us to remain humble of one’s achievements and to always look back at one’s humble beginnings. There had been a year when my mom had been in and out of the hospital due to multiple strokes. My family knew that she was not getting any younger. That things were not the same as they used to especially now that she has diabetis and osteoporosis. 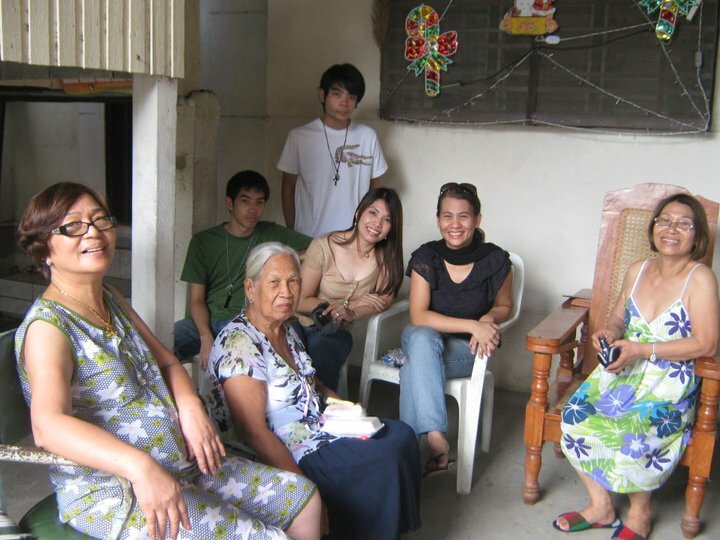 Year 2009 had been a bad year for all of us.We lost our eldest brother due to a heart condition. All of us had been devastated especially my mom. All of us could not believe that my brother had gone too soon. We were worried that she might not be able take it all. But my mom had never been a quitter. She had always faced life heads on. A few days after my brother’s cremation, she told one of my daughters, that she does not want to live in a hospital anymore. That she is still needed especially now that my brother left a wife and 3 sons. Besides, if she was able to move on when my dad left us , she can not see any reason why she can not do that again. And so that’s what she did but this time, she did more than that. She decided to be productive by accepting tutorials even though she was underpaid. She continued to be active in our place’s’ senior citizens group where she used to be the auditor, but now the vice president which worries me at times because that would mean more responsibility to the group, in which, she just gave me, a deaf ear. 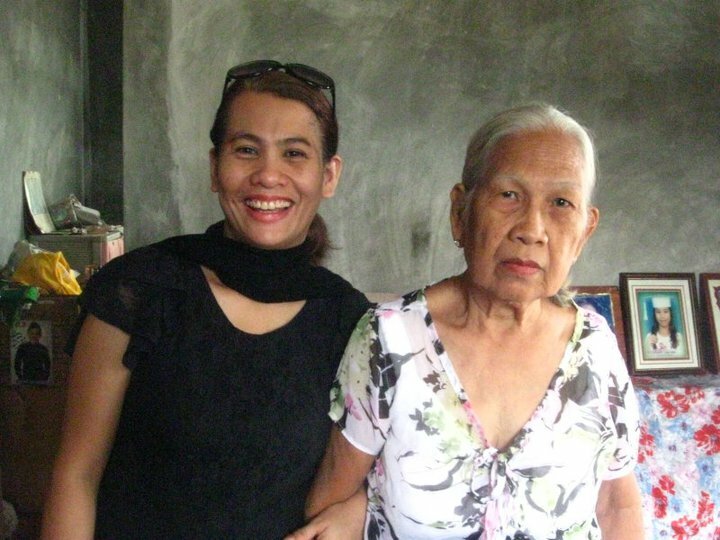 Lately, I have learned she attended birthday parties of other senior citizens’ members, even telling me that she had worn the blouse I gave last Christmas. She had never stopped reading that she knows Harry Potter very well after reading all seven books. And never grew tired of knowing Dan Brown, James Patterson and Patricia Cornwell thru their novels. Life had been kind to my mom. Financially we may not be well off, but both mom and dad made sure my siblings and I were brought up with the things that really matter. Basic things like the times spent with each other, stories and laughter shared, and the freedom to know and learn what life is all about. To be good in one’s chosen field, and by paying things forward especially to those who need it. It may not have been much, even trivial to others, but as we go along our lives, when most of the people who matter had gone before us, we may realize that it is not the fancy, worldly things, that you long for, but the very simple ones that you want to take back, hoping that this time it may not be too late. My mom just turned 77 last January 20th. When I talked to her over the phone, she said that my daughters’ classmates had read my blog and mentioned how they liked it. She added that she will find the time to read it, now that she knows what a blog is. And that really made me smile. In fact, it really made my day. Posted in Uncategorized and tagged Christmas, Dan Brown, Dysfunctional, Harry Potter, High school, James Patterson, Laughter, Learning, Mom and Dad, Patricia Cornwell, Quitter, Reading, River, School, Siblings, Stories, Teaching, Tutor. Bookmark the permalink.